QHY90A/IC90A uses the popular 4/3inch CCD sensor KAF8300.This camera has built-in 7 position colorwheel for 36mm unmoutned filters and a butterfly uniform illumination mechanical shutter. KAF8300 8.3mega pixel 4/3inch mono sensor is used in many astronomy camera models. 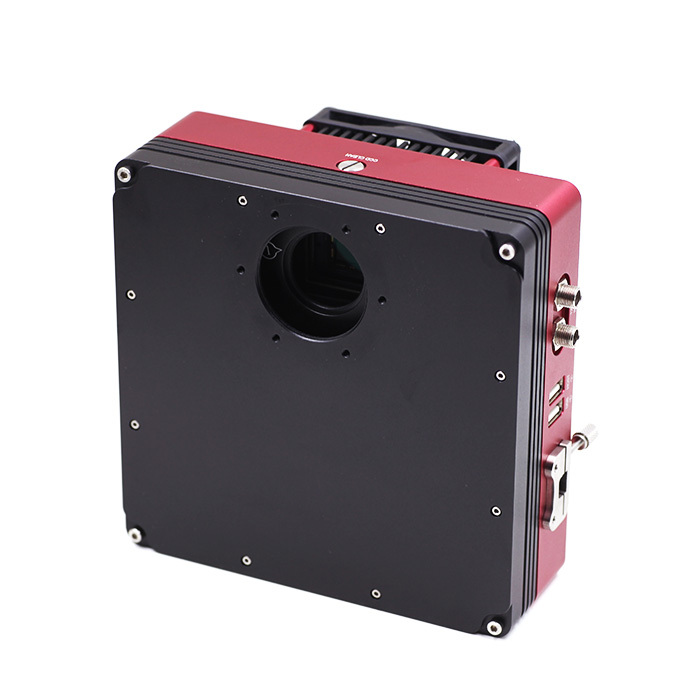 Both QHY90A and IC90A belong to QHYCCD new "A" series camera family. "A" stands for "ALL-IN-ONE". It includes a built-in motor driven filter wheel and it natively supports the QHYOAG. The OAG can be installed on the camera solidly with six screws at minimum back focus, precious for some optical systems. The filter wheel in QHY90A/IC90A is 7 positions for unmounted 36mm filters. The camera compatible with the small size QHYOAG. Besides the filter wheel and OAG, "A" series camera has more to offer. An internal USBHUB(2.0) provides two USB host port and a USB to dual RS232 coverter. Guiding camera, mount and electric focuser can be connected directly to this camera instead of the computer to reduce cable clutter and chance of signal loss due to the long cables. Only one USB cable to rule them all. This camera uses a mechanical shutter looks like butterfly shape. This shutter is driven by motor directly and it is only one piece with no friction to others. The working life is almost unlimited. This shutter has two side to cover the light. One is left to open the shutter. and another is enter to close the shutter. It has a uniform illumentaion feature. This camera uses the single 12V to power. The power socket has the thread, it can connect with the DC plugs with thread lock to get solid connection. There is another socket which is connected with the input in parallel. 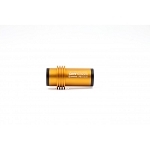 It can supply the 12V to other device nearby.